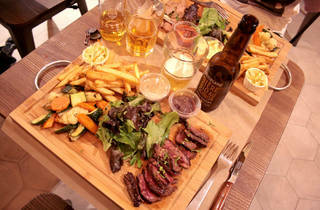 A gourmet fast food joint proposes ‘barquettes’ packed with exquisite cuts of meat, chips and well-cooked veg. 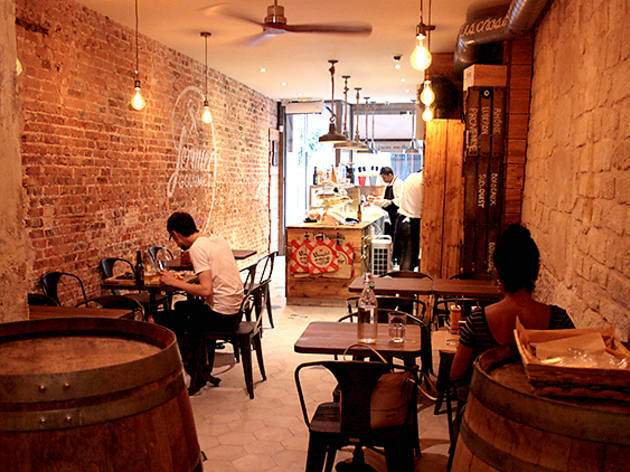 Some restaurants almost make you want to up sticks and switch neighbourhoods. 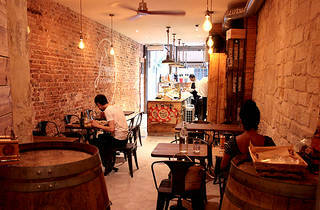 Or at least switch offices, so as to append a new gourmet address to your shamefully limited lunch hour repertoire. 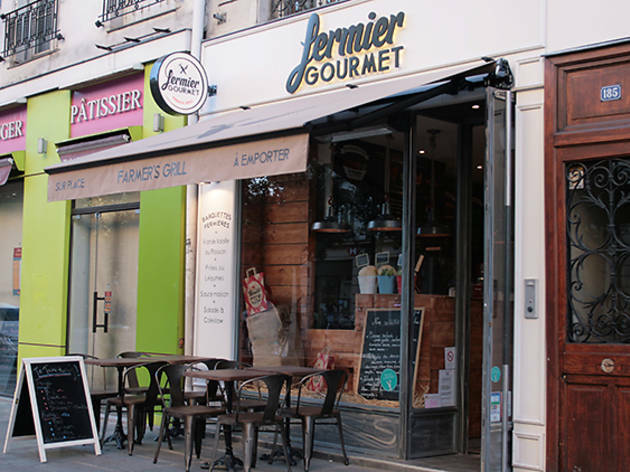 One such place is Fermier Gourmet, a quick service ‘rustic grill’ on the Rue du Temple, just off the Place de la République, which serves carefully sourced, excellently cooked cuts of meat, along with fresh veg and salads. As you go in, take a look at the various set menus listed above the counter, including the house speciality ‘barquettes’ (literally, ‘baskets’), to eat in or take away. 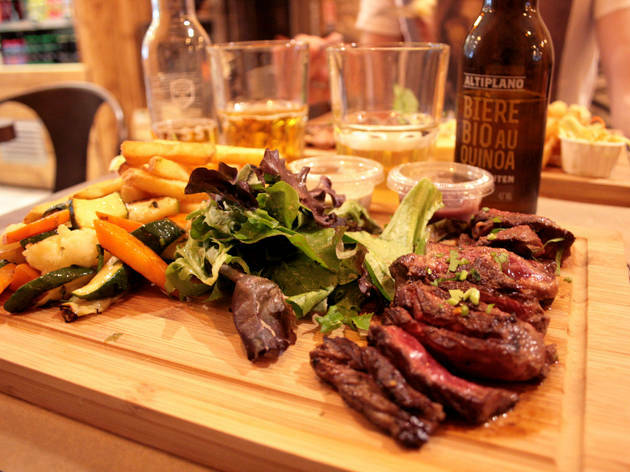 In them, you can choose any main of meat, be it an undercut of beef, chicken breast, duck tenderloins or, for pescetarians, a fillet of salmon. 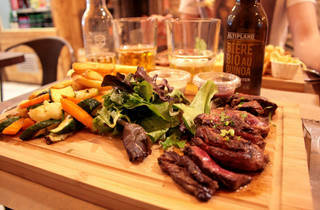 This will then pop up on the servery a few minutes later, flanked by a decent coleslaw and a dainty mesclun leaf salad. 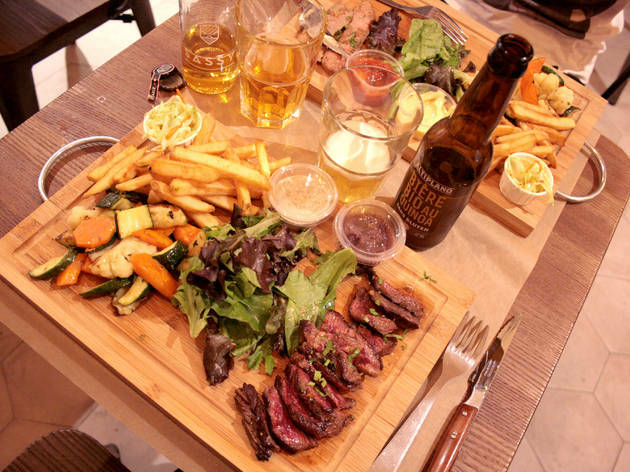 Additionally, you can grab a side of grilled veg and/or some particularly well done chips, as well as various succulent home made sauces, like the creamy mushroom or the mustard, honey and dill (a perfect match for the duck). Although all the portions are pretty generous, you may have enough room for a dessert, like the serving of luscious mascarpone, dotted with strawberries and Oreo cookie crumbs. 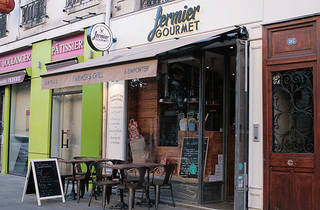 The Fermier also propose a healthy selection of juices and organic, mainly French beers, one of which is gluten free.